New York City’s newly-appointed police commissioner announced Thursday that the use of stop-and-frisk plummeted drastically in 2013. There were more than 533,000 stop-and-frisk incidents in 2012, but “only” 194,000 last year — a 60 percent decrease. This is the second straight year that the number of stops-and-frisks has declined, as there were over 685,000 in 2011. Stop-and-frisk involves police officers temporarily detaining passerby who they believe may be guilty of a crime, and frisking them if they deem it justified. It’s been the ire of civil liberties groups for many reasons, not the least of which being that, in 2011, 87 percent of those stopped under the program in 2011 were black or Latino. One officer testified that he was specifically told by his superiors to target young black males, and in 2011, the number times young black men were stopped outnumbered the actual population of young black men in the city. Last year, federal judge Shira Scheindlin ruled that stop-and-frisk is unconstitutional. That ruling has been the subject of a back-and-forth in the courts ever since, and its enforcement is currently on hold while the appeals process plays out. However, the appeal was ordered by Michael Bloomberg, and Bloomberg isn’t the mayor anymore. Bill de Blasio is. De Blasio opposes stop-and-frisk, and says that he’ll drop the city’s appeal when the case goes to court next week. If that happens, the injunction against Scheindlin’s ruling will be lifted, and the program will have to undergo serious changes aimed at remedying the alleged racial discrimination, which will be overseen by a court-appointed monitor. 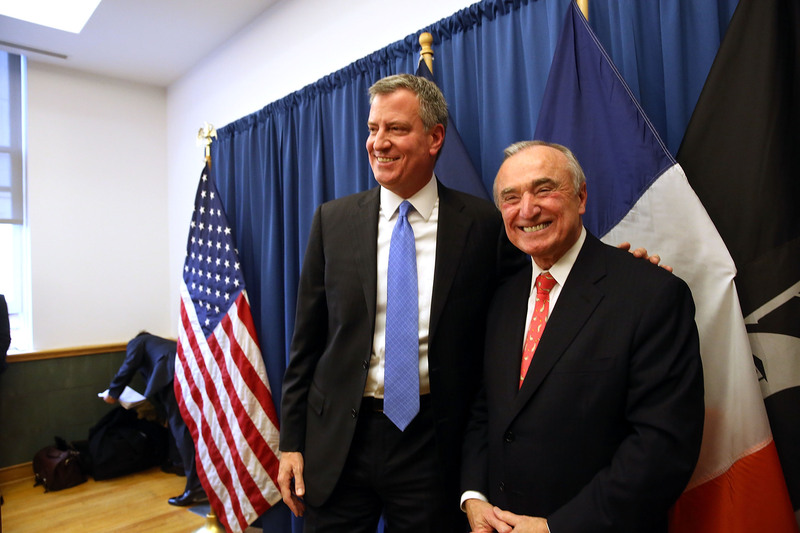 Bratton added that stop-and-frisk’s problems have “more or less been solved,” and while that’s probably an overstatement, it may soon be an accurate assessment.